One of my first thoughts after coming across these illustrations was “how have I never seen this artist’s work before?”, because they are freaking amazing. Few too many artists today have the courage to tackle important social commentaries with their art. 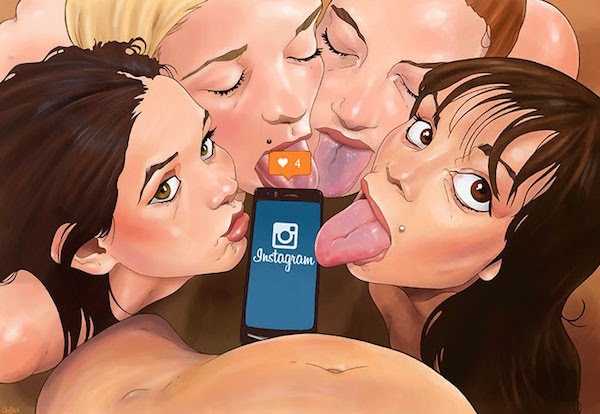 But Spanish artist Luis Quiles has undoubtedly broken this mold with his series of illustrations that depict a relevant and unfortunate reality for our world today. 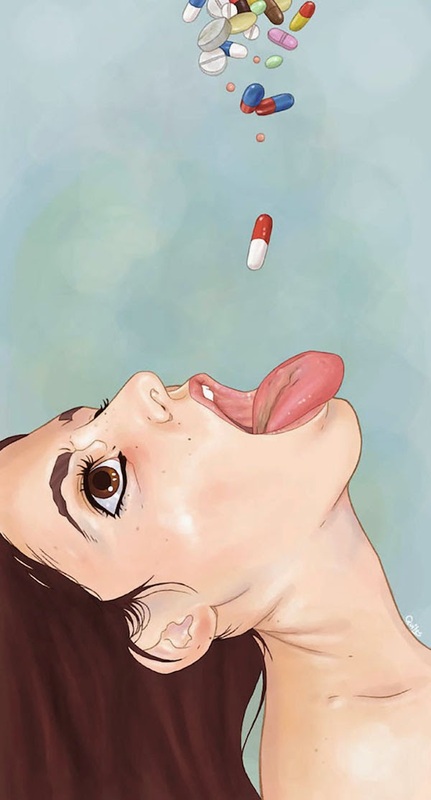 Through his art, Quiles challenges a wide range of controversial issues ranging from over-the-counter drug addiction, censorship and corruption to sexism, violence, child abuse, and most pertinent of all, our cultural social-media-crazed obsession. There is something raw and hauntingly telling about the commentaries being expressed through each illustration, perhaps in part due to the apparent truth that exists in the messages. Many of them are difficult to look at, but all of them stand as an accurate representation of the conundrums which plague our world today. With the cost of living continuing to rise at a rapid pace, and an economy which, especially in the U.S., is pushing more and more people into the lower socio-economic bracket, many families and students are basically being force-fed fast and cheap food as their only financial option. Proper nutrition keeps us running at our optimal cognitive and energetic capacities, a lack of nutrition keeps a nation lethargic and docile. 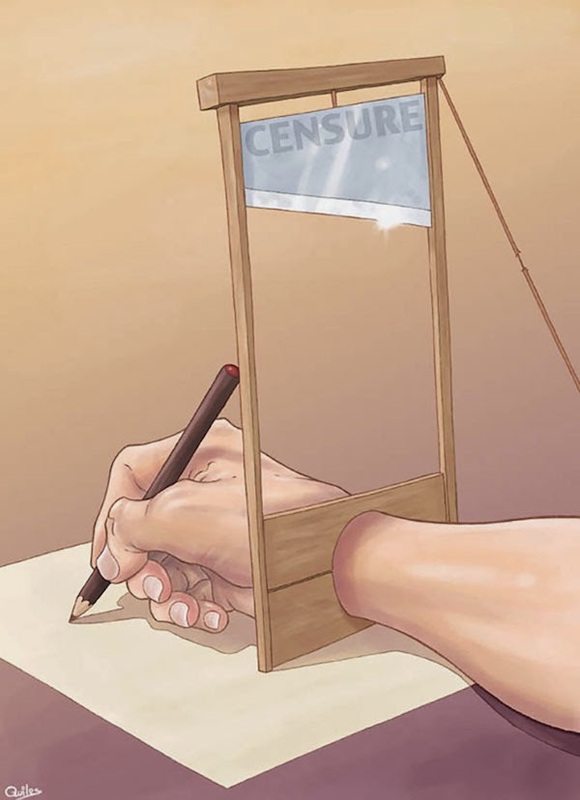 The censorship of free-thought and the consequences which follow voicing our opinion. In a nation stating itself to be ‘free’, it’s interesting how many laws, regulations and fear programs exist which limit our choices and thoughts. One can get locked away simply for defying their government’s belief systems. I’m curious how long people will continue to let this censorship take place. Religion’s ‘helping’ hand in poverty. It’s no secret that the predominant religious institutions are some of the wealthiest bodies in our world today. Yet even among all of the collections of gold and assets, their high-stakes morals, and their claim to be the world’s path to salvation, the religious institutions have failed to help solve the poverty pandemic worldwide. This is something they surely have the finances to, at the very least, drastically reduce. 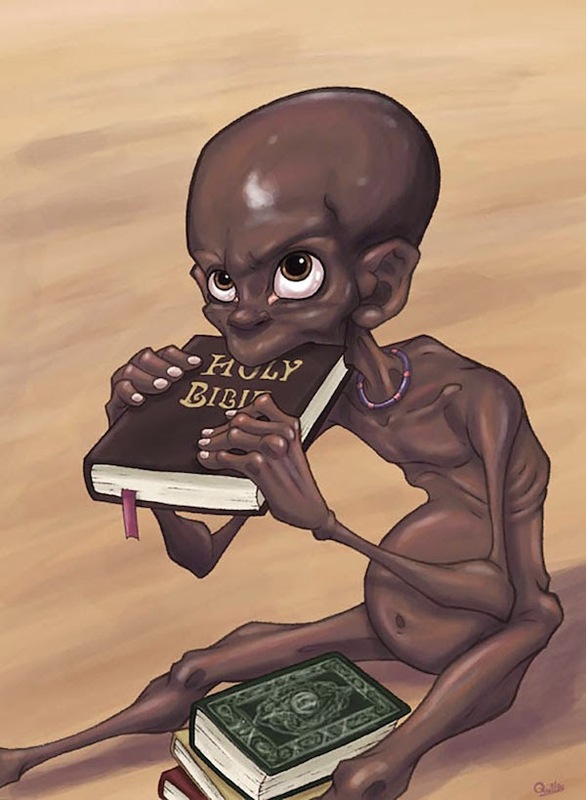 Ironically enough, many of the developing nations of people are enveloped in the lure of organized religion, following the teachings ever so diligently without drawing a connection to the fact that these religious institutions have the means to help, but simply are not. It’s rampant throughout all forms of media today. The hyper-sexualized image of women, used to stimulate a testosterone-driven population of men. Not only is this prevalent in the media but it is also commonly witnessed in various aspects of modern-day culture. For example, many restaurants or lounges force girls to wear skirts, heals, even boots, all to appeal to a specific audience. Female pop stars and celebrities are also usually exploited sexually in the mainstream media. 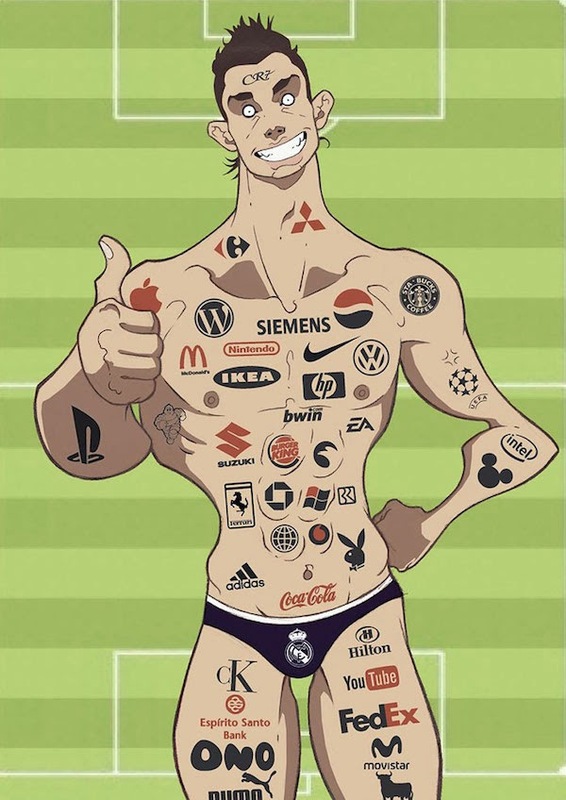 Just another example of the dominating male influences at the top of the ladder. ‘Generation Notification'; the social media crazed population. Social media has undoubtedly changed our way of connecting through the world wide web, but whether or not this was for the better is debatable by many. Today we see a high percentage of youth and adults literally addicted to their phones, iPads, or laptops. It’s almost beginning to move towards the physical merging of technology and man, where the line between social media reality and the everyday reality is continuously becoming blurred. How anyone could continue to harm completely innocent civilians is something I will never understand. Children growing up around the devastation of war are often subject to the by-product of war arms, i.e., radiation and firearm-induced amputation. Whether one supports the ‘war on terror’ or not, one can’t argue the absurdity of killing innocent children in the name of defending one’s own country. The cut-throat power money holds over the people. With the way the system is currently set up, it’s almost as if people are intentionally pit against one another like a giant game of survival of the fittest. Like the famous line states, ‘the rich are getting richer, and the poor are getting poorer.’ Practically every industry today is fueled by financial gain. People are willing to step on whoever they need to in the name of money. Most unfortunate of all, we see financial interests literally wiping out the planet, destroying ecosystems and wildlife at an unsustainable pace. How did a made-up value system come to be the eventual downfall of the entire planet? Will mankind wake-up to its own insanity before it’s too late? How pharmaceuticals are both turning a population into zombies and killing us at a not-so-slow pace. These facts are based off of legal prescription drug statistics. An estimated 450,000 preventable medication-related adverse events occur in the U.S. every year. The costs of adverse drug reactions to society are more than $136 billion annually — greater than the total cost of cardiovascular or diabetic care. Looking over records from 1976 to 2006, researchers found 62 million death certificates related to prescription drugs, almost a quarter-million of these deaths were coded as having occurred in a hospital setting due to medication errors. How is this considered normal? These pictures do a fantastic job at getting you thinking about widely-accepted yet absurd facets of our world today. 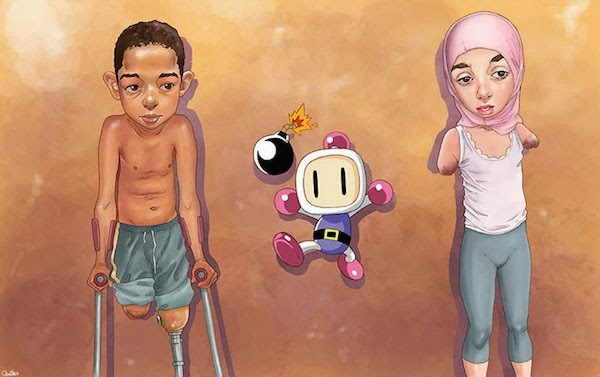 It’s safe to say that Luis Quiles is a brave, artistic genius. To see more of his work, check out his webpage HERE.